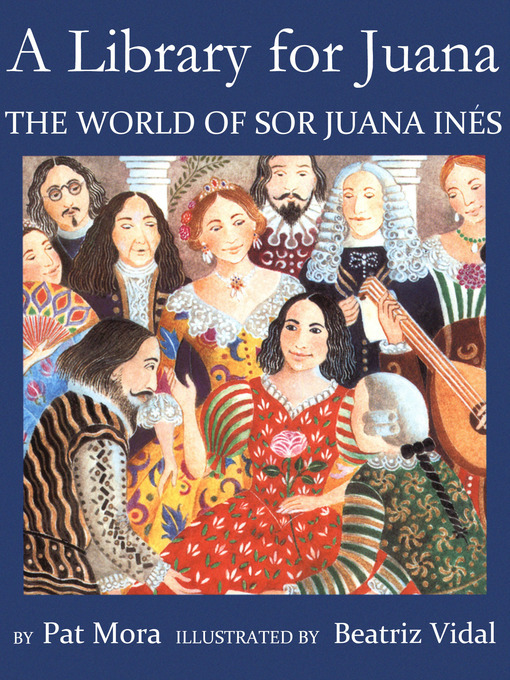 When Juana Inés was born in Mexico in 1648, she fell in love with her grandfather's books. When she was three years old, Juana followed her sister to school and peeked in the window, then begged the teacher to be allowed to stay so she could learn how to read. Soon she was making up stories, songs, and poems—she loved learning and she loved reading. And she couldn't wait to have her own collection of books! Eventually, Juana went on to become Sor Juana Inés de la Cruz, a nun, and she devoted her life to writing and learning and words. Sor Juana Inés is still considered one of the most brilliant writers in Mexico's history: her poetry is recited by schoolchildren throughout Mexico and is studied at schools and universities around the world. The incredible story of her life full of knowledge, achievement, and inspiration,is lovingly told by the renowned children's book author Pat Mora and gorgeously illustrated by Beatriz Vidal.